Need to outfit your employees with unified style? Or are you looking to promote your business or other organization? 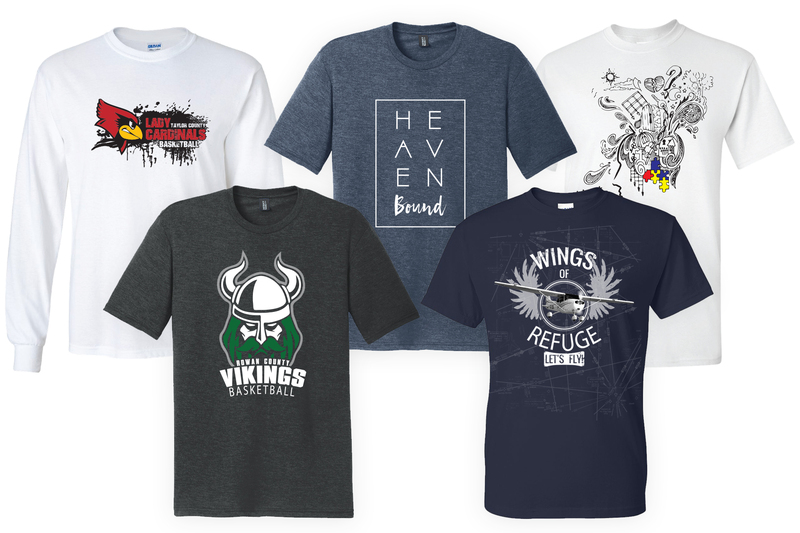 Whatever your needs, Underwood Design can provide you detailed artwork on the best brands in apparel. We’ve worked with school athletic teams, student organizations, church groups, along with numerous boutiques and other small businesses. No matter if you’re looking to get your name out or show your support for any number of causes, we want to help you look great while doing it! That’s no problem either! We gladly offer our design services separately from printing so that you can keep supporting your local businesses. Simply tell us what you’re looking for, and we’ll help you through the design process and then provide your finalized artwork to the printer of your choice.